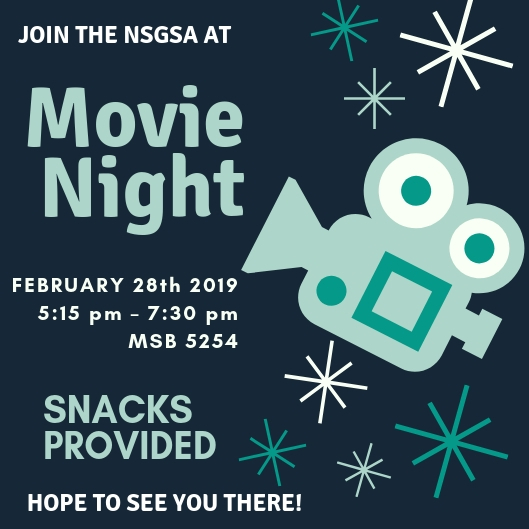 The first year reps are hosting a movie night after seminar on Thursday Feb 28th! We hope to see you all come out for a mid-week break and relax together! Check the NSGSA Facebook group this week to vote on your favourite movie choice – suggestions are welcome! Snacks will be provided.